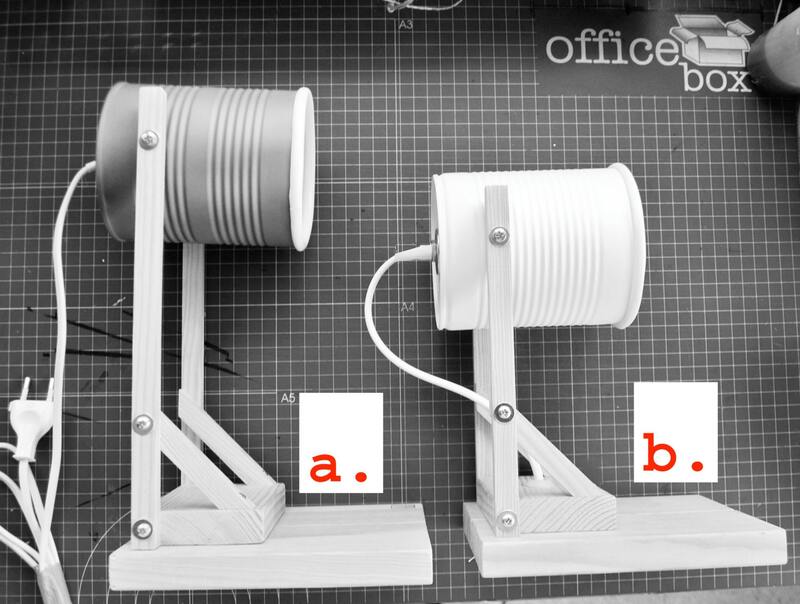 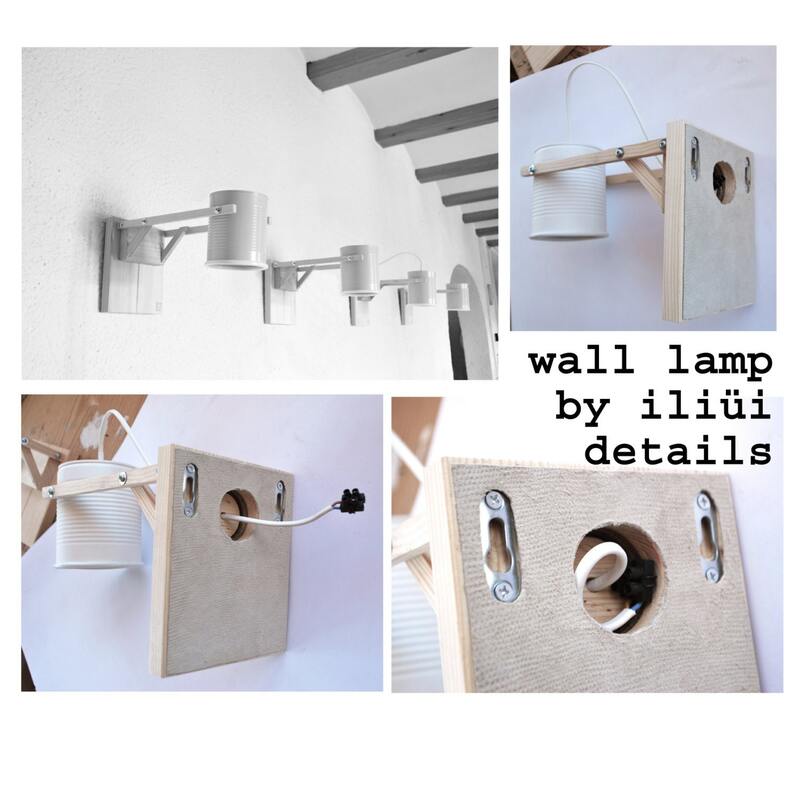 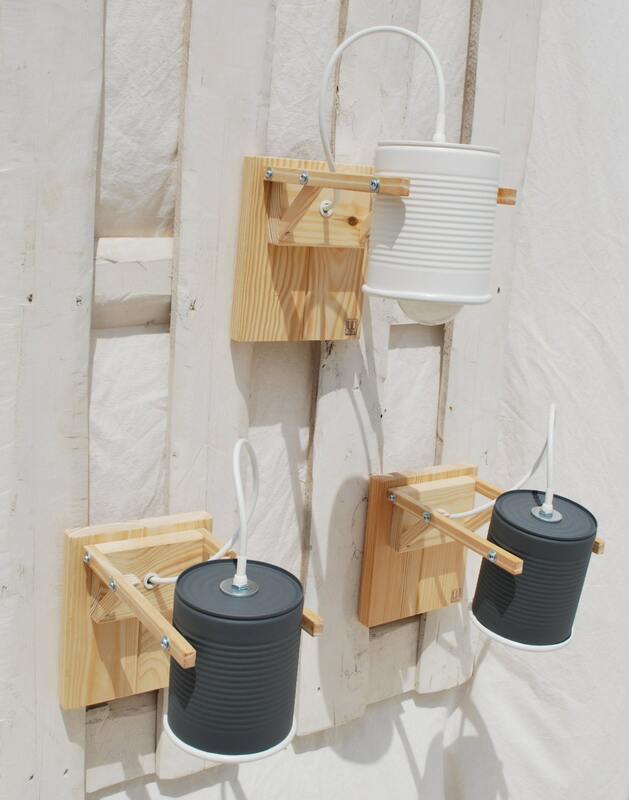 Wall lamp / sconce light , any color... eco friendly and handmade : recycled from tomato can ! 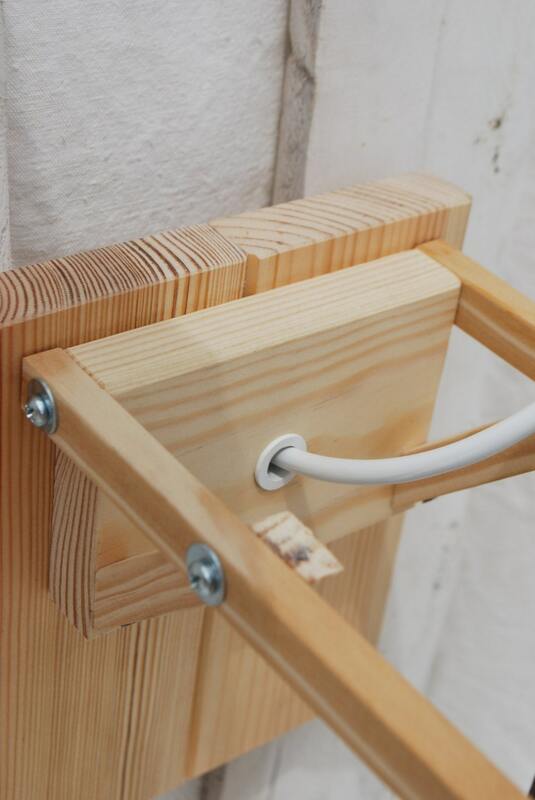 The structure is made of a light wood ( pine or similar ) , and underneath the wood base, there's a thin sheet of EVA rubber , in order to have much more grip on the walls and do not scratch the surface of them. 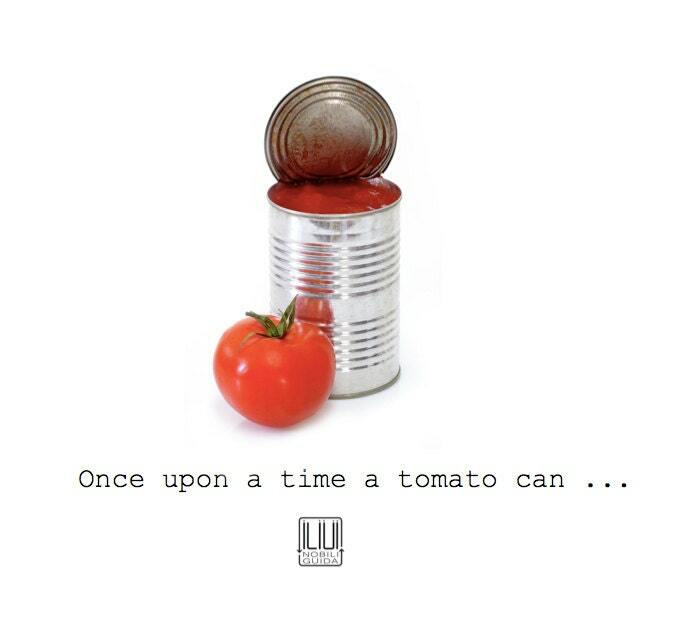 Every label of our items, shows the "history" of the product !